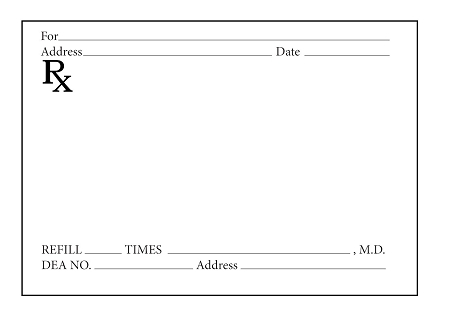 Regular prescription pads have no security features. They are printed on white bond paper and imprinted with black ink. 2000 sheets per case. 20 pads per case - 100 sheets/pad. Dimensions: 4.25"W x 5.5"L - portrait format. Shipping to a Continental US Commercial Delivery Address only. Rx Pads not eligible for discounts.